Add excitement, action and adventure to any group gathering—from birthday parties and sleepovers to family reunions and office outings. All ages play together. 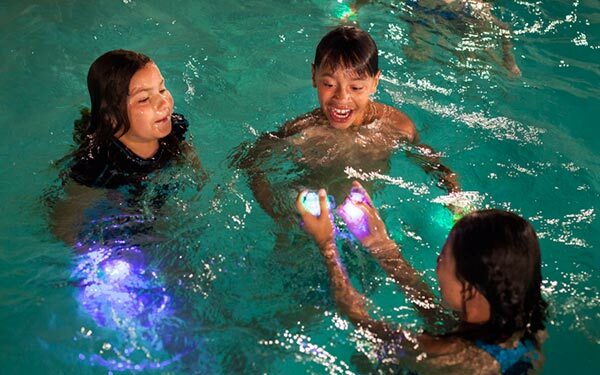 So grab a game, gather your friends— and let’s GLOW. 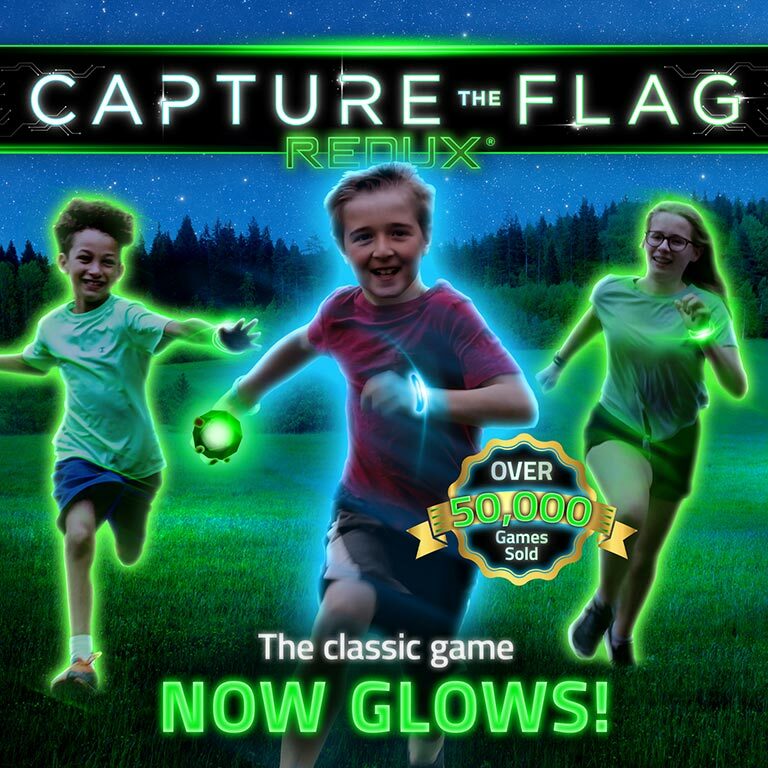 Capture the flag has evolved! 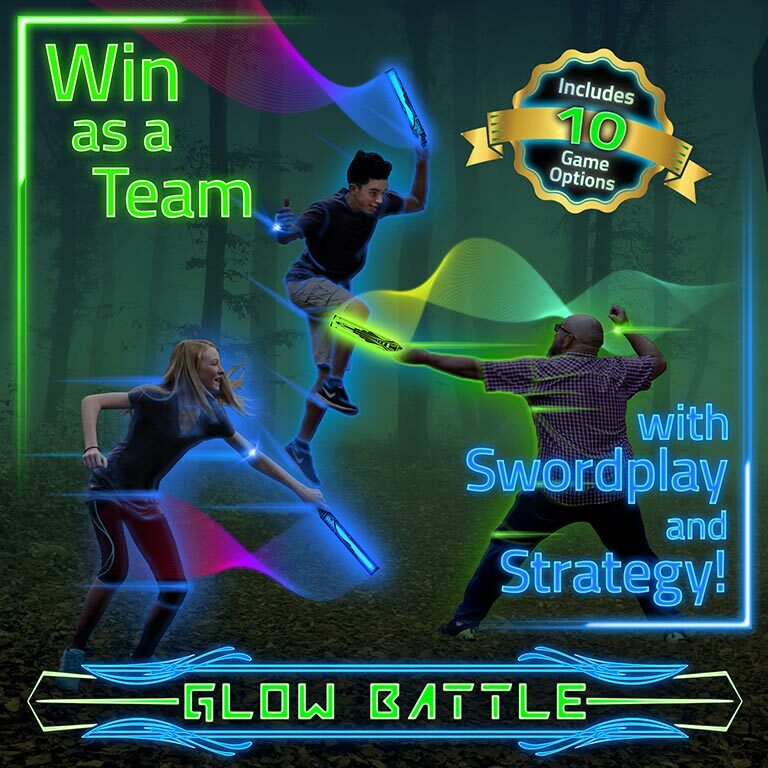 Experience this classic game with a modern glow in the dark game twist. 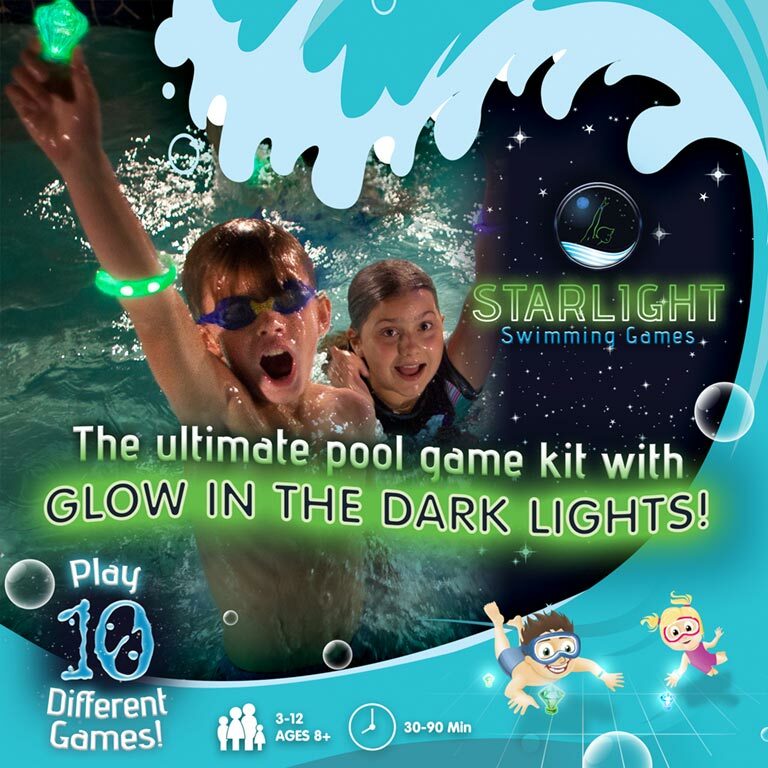 Jump into a magical wonderland of swimming pool games with this waterproof glow in the dark game kit. Make it easy to get unplugged and get outside. CNN reports that the average teen spends nine hours on their phone per day and fifty percent of them feel addicted to their devices. 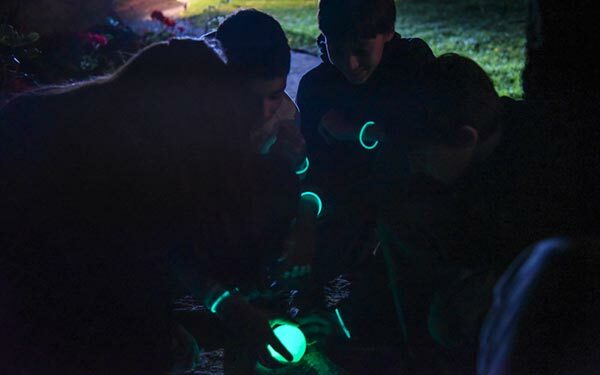 Give people a reason to put down their screens and open the door to outdoor excitement with glow in the dark games! According to the National Center for Health Statistics, three in four youth don’t get enough physical exercise — and neither do most adults. 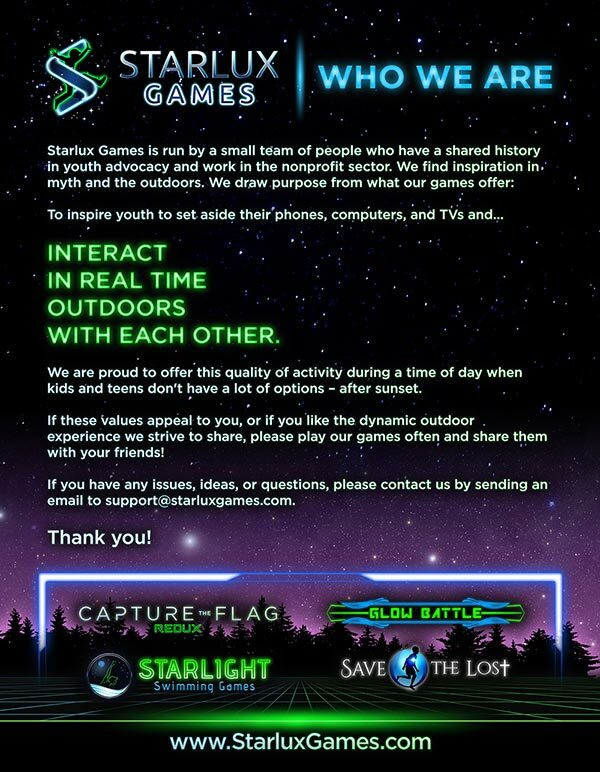 Starlux Games give people of all ages the perfect incentive run around like crazy. When you’re having fun, it doesn’t feel like exercise! 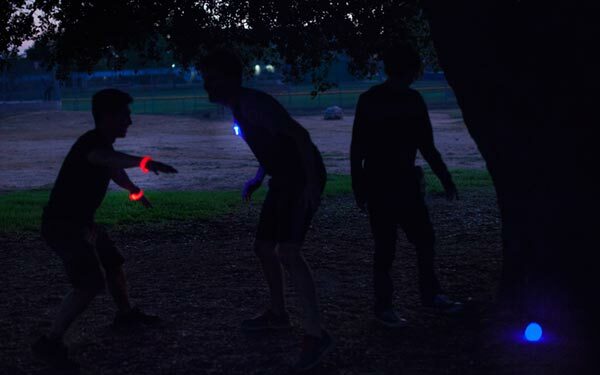 Yes, our glow in the dark games spark physical activity outdoors — but they also inspire stealth and strategy. The American Institute for Research has proven that people who spend more time outdoors do better in math, science and critical thinking. Open a Starlux Games box — and expand your brainpower too! Kids want options — and we’ve got ‘em! Each neon game offers pulse-pounding variations that keep the excitement fresh. They’re easy to learn, too. 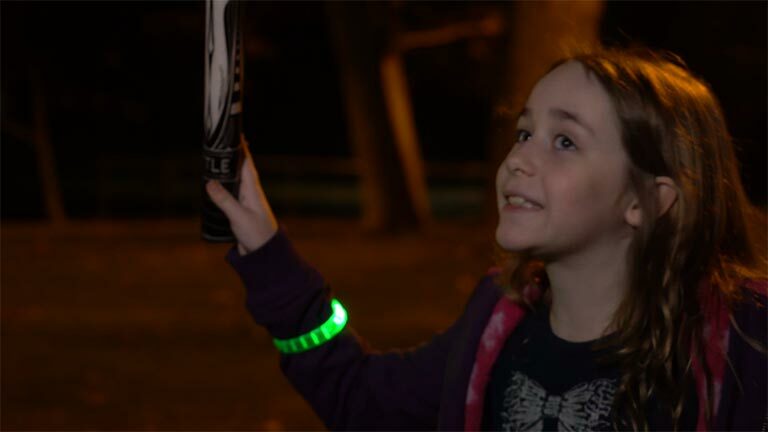 Whether you’re an exhausted parent or an overly-excited kid, learn how to play new glow in the dark games within minutes using our illustrated rulebooks. 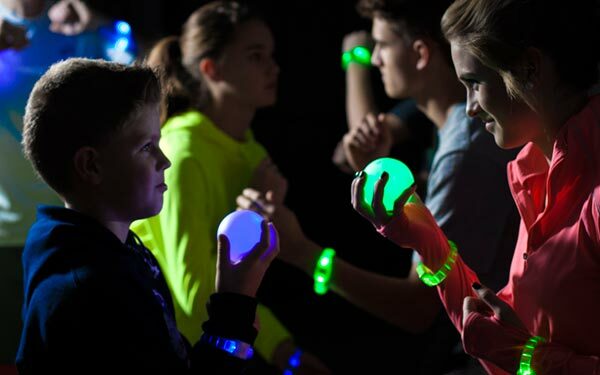 Great for bringing all ages together — kids, teens, even normally boring adults – our glow games encourage social interaction, teamwork and cooperation. 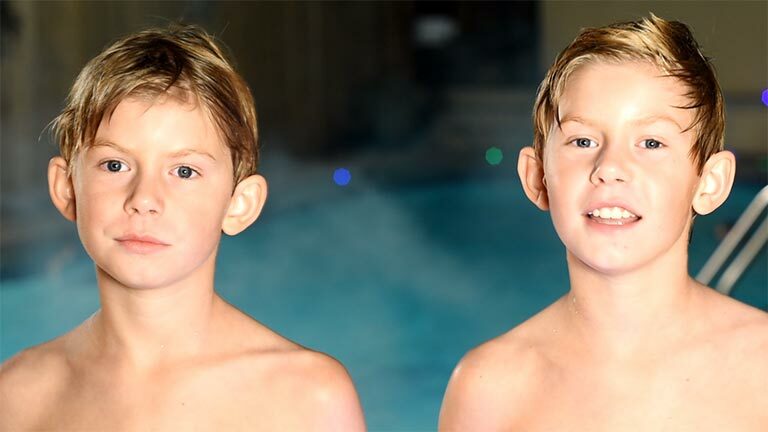 As Parents Magazine reports, one of the best ways for kids to foster social skills is to play games. And it doesn’t hurt that our games are loads of fun! With over 40,000 games sold worldwide, we are the industry leader in glow in the dark games. 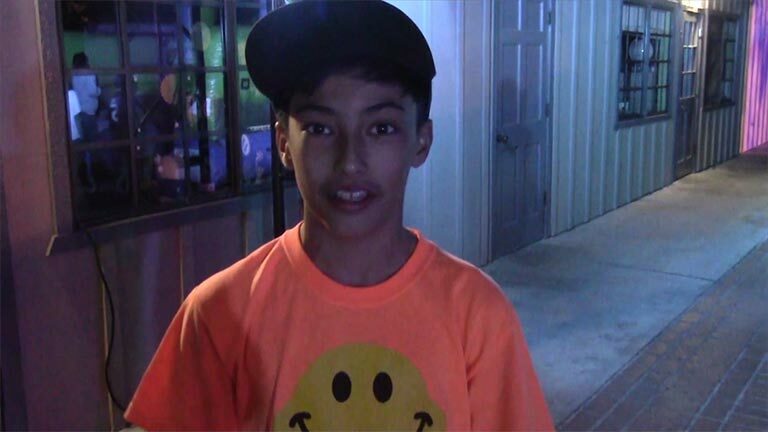 We give kids, teens, and adults something fun, active and social to do. Leave the phones and TVs behind for an awesome time with family and friends!